It’s the month of love, and what better way to celebrate than with a menu especially created to include chocolate from starter through to dessert? 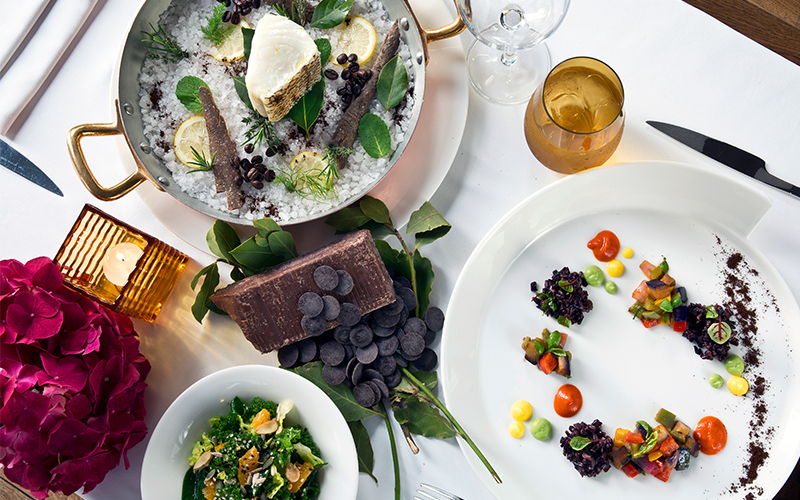 Created by Group Executive Chef, Francesco Guarracino – the menu incorporates the inclusion of chocolate in every dish. For starter, guests can enjoy dishes such as scampi carpaccio complete with Yuzu and White chocolate dressing, cream fraiche and yellow tomato pantellerie capers. For main course, guests can indulge on Wagyu beef tenderloin, 250g, grade 7 with baby leeks, potato, chocolate veal jus and chilly. For dessert, the three-course menu is complete with Dolce Amaro showcasing 5 different intensities and consistencies of chocolate. Guests at Roberto’s will be able to get their hands on the special dishes until the 28th February.